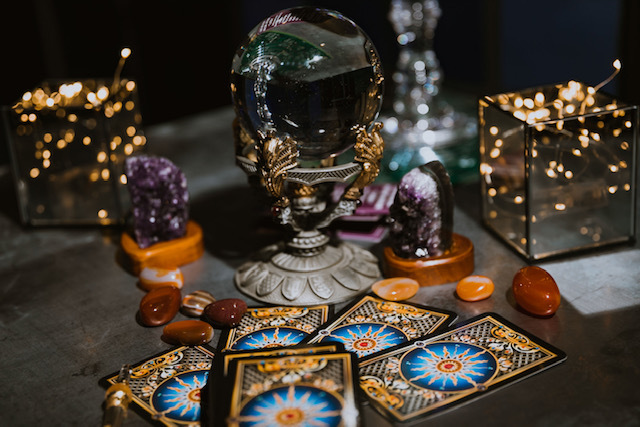 At Psychic & Spiritual Tarot Card Reader, evaluates your energy and uses spiritual guides to answer your questions and guide you in the right direction. When you have decisions to make in your life regarding your career, love life, or family, provides positive guidance. I can help you overcome your heartache and teach you how to feel and grow and experience love. I can help you with your worries and problems and understand the need to achieve the future you desire. I provide answers and guidance to any problem you may face in your life. General psychic readings involve Laura picking up on your energies and providing you with valuable information about your love life, family, friends, and career. In addition, she performs psychic readings on dogs and cats to divulge information about what your pets are thinking. You may hear things during your psychic reading that you do not want to hear, but the information is something that you need to hear. Targeted aura readings are different from psychic readings because they focus on cleansing negative energy from your life. Past events can cause you to carry around a lot of negative energy that makes you feel stuck and holds you back from excelling in life. Aura readings cleanse you of that negativity and allow your spirit to be free. Contact Miss Laura, a spiritual advisor, in Pleasanton, California, for valuable guidance and solutions.